Dear all, after changing jobs and stop flying paramotor, it has been very hard to find the time and ways to fix bugs and implement new features. I am sad to say that I am removing the app from the AppStore and stop implementing any updates in the future. The current version is very stable for the actual users. Thanks for your support! Have you ever asked “where is my buddy John?” while riding your paraglider or ultralight? Or yet, “how high, far or faster is my buddy Peter compared to me?”. Maybe you’d just like to have that “nice, radar-like” interface showing your buddies around. 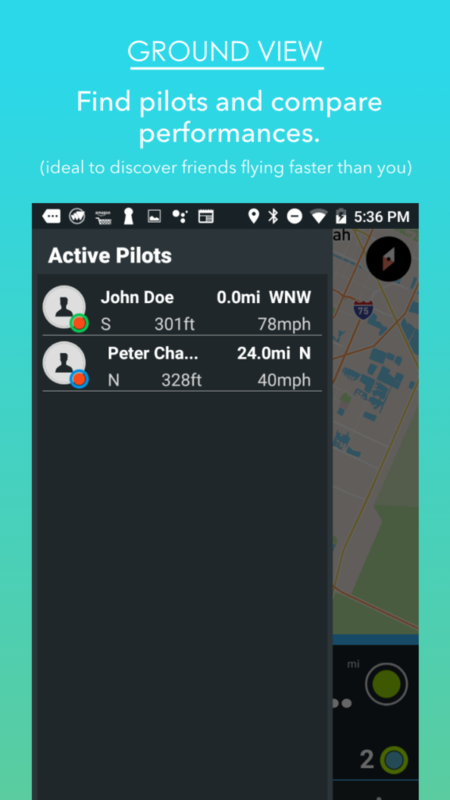 PPG Finder is a navigation app, available for Android and iOS devices, designed specifically for paramotor, and ultralight pilots willing to get “regular” dashboard information for their flights (showing map, altitude, speed, compass, riding time and traveled distance), PLUS the ability to check, in real time, where other pilots” are around them. 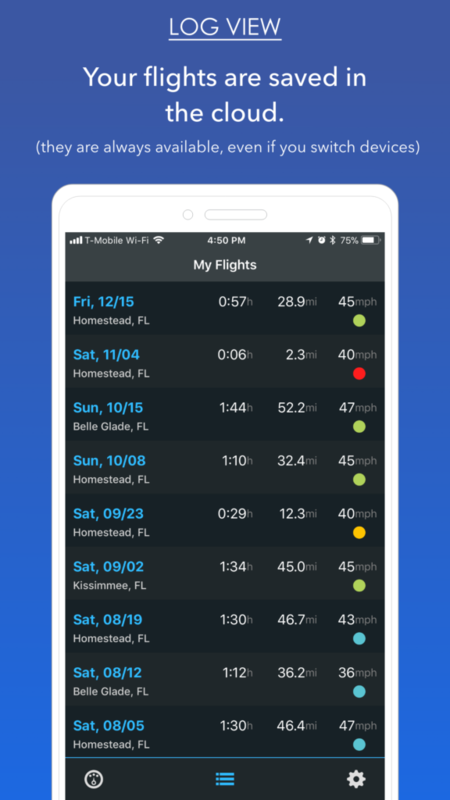 The “live” view shows friends around on the map, highlighting their altitude, speed, and distance from you. Also, the app records your flights in the cloud, meaning you will access them, even on different devices. After much thinking, I have unpublished PPG Finder’s Android version from Google’s Store. For months I have talked with users and noticed interface and crashing issues that do not occur on the test device that I have, which makes the process of finding the fixes much harder (after all, I cannot reproduce in the environment I have). Also, due to several devices running on the platform, OS implementation and minimum hardware specifications some times are not matched. For example, once I have tried 3 different devices on a table. The first GPS device registered 7ft, the second one 130ft and the third one did not recognized the GPS! These limitations also hold some new planned features for the iPhone platform, because I set myself since the beginning to have a fully compatible product for both platforms (if something does not work on Android, I do not proceed with the feature on iOS). With this decision, I will be able to focus 100% of my attention to the iOS platform which, honestly, have been working flawless since the first beta of the app (in fact, I have more than 50 long flights without any issues like crashes, not saving the flight after it ends, etc). So, if you are an Android user and everything is running fine for you, great! Keep using the app as you normally do. However, if you are an Android paid user, planning to migrate to an iPhone in the future, let me know and I will provide a promo code to download PPG Finder for iOS for free. This is a big update for the “video makers” using a GoPro* camera. Starting with this version, you can control your recordings directly from PPG Finder interface. After having your camera setup using GoPro’s mobile app (don’t forget to enable its Wifi connection), simply enable the GoPro Control selector (in the Settings screen). With that, every time you start a flight the camera will start to record. If you click the snapshot button, your video will be automatically highlighted (super easy to edit it later using GoPro’s Quik app). Also, when you finish your flight, PPG Finder will finish the recording and turn off the camera. Watch the video below for details. *tested only with GoPro Hero 4 and above – it may work with GoPro 3 but it is not tested. The airspace information should not be used as the only source of planning and navigation as it may not be accurate or current. Always consult the official publications for current and correct information. Updated data will be available at the moment of its publication. 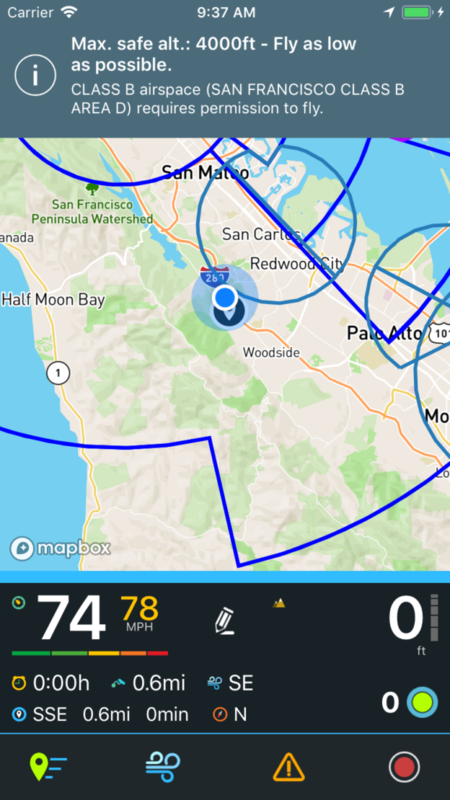 The ground view allows users to create and share routes, plus the ability to track active pilots from the ground. 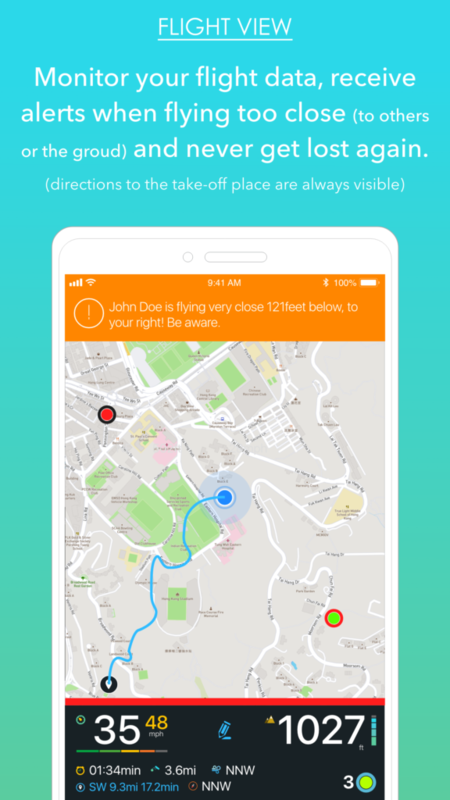 This is a great feature for family and friends to follow you while flying. 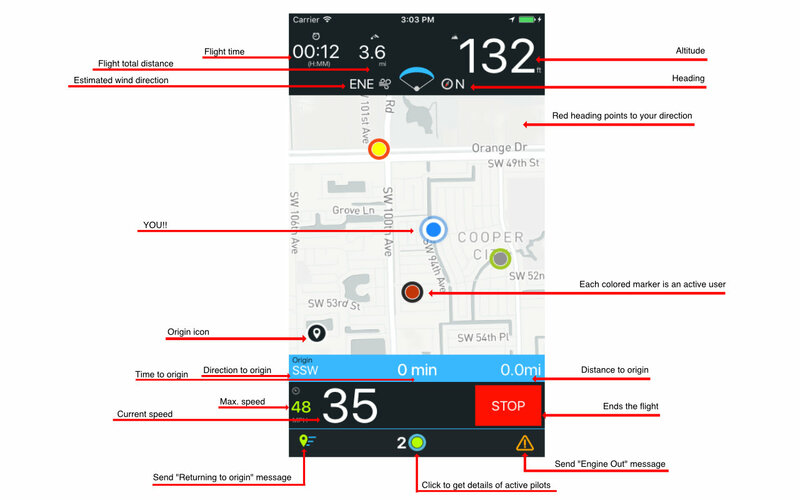 The main dashboard was totally re-designed, providing more space for the map. It also adds a new button to check wind speed and direction from the current place being flown (ideal for emergency landing situations when you don’t have any visual wind indication on the ground). PPG Finder flight log now automatically capture city name and weather from your origin location, recording this information for you to remember better your experiences. Enjoy this update and don’t forget to share your experience with friends. Please rate/review our app too!